Reelcraft manufactures over twenty five hundred models of hose, cord and cable reels, as diverse as heavy-duty hose reels used in the marine industry, hose reels within robotic automotive assembly cells and reels needed to syringe the greens of a golf course. These models include spring retractable, motor driven, hand crank, stainless steel, twin welding, twin hydraulic and electric reels, handling hose lengths up to six hundred feet and ranging from ¼ inch to 4 inches in diameter. The spring retractable models are widely used in industrial applications to improve safety by keeping hoses and cables off the floor as well as maintenance areas to provide air or power when and where it is needed. The majority of Reelcraft hose reels deliver fluid and air, with the others designed to coil welding cables, extension and power cords. Our reels are used to transfer anything from air, water, transmission fluid, grease, oils, antifreeze, diesel fuels, welding gases, liquid pesticides, fertilizers, detergents, solvents, chemicals, blacktop sealers and printing inks, in industries as diverse as aviation, industrial and automotive markets, to reels for the residential garage. Reelcraft has proven itself as a highly innovative company in developing new products for a wide range of markets. Reelcraft’s dedicated workforce, together with implementation of programs such as Lean Manufacturing and Six Sigma, have contributed to Reelcraft becoming the industry leader for manufacturing spring-driven reels in the United States and worldwide. Reelcraft is ISO 9001: 2008 Quality Certified since 1996, with quality built into processes throughout our entire organization, including the design, manufacture and assembly of our hose reels, cord reels and cable reels. 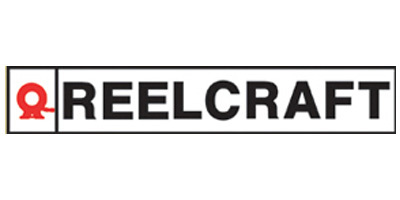 Reelcraft continues as the world´s largest manufacturer of spring-driven hose, cord and cable reels for use in industrial, automotive, aerospace, military and specialty applications. Reelcraft is also widely recognized as the industry leader for product quality, customer service and innovation and will continue to provide the same quality, delivery and value that will satisfy its customers.